RUI COSTA’S footballing life can be summed up by one goal and the few moments that followed it. In August 1996 in Lisbon’s Estádio da Luz, Benfica lined up against Fiorentina for their presentation match. This was a pre-season game with no real value, besides the fact that it was the first time Rui Costa played here as a visitor. Rui Costa received the ball from his Argentine team-mate Gabriel Batistuta on the edge of the box in the final minute. Gliding past the Benfica defence, he remembered taking it through ‘the midst of my friends’ – his fellow countrymen Hélder Cristóvão and Dimas Teixeira – before subtly flicking the ball over Belgian goalkeeper Michel Preud’homme, who closed the gap to within inches between them. The only space left was exactly where the ball ended up. His instant reaction to his own beguiling display of attack was to walk away from the scene of the crime. As his team-mates wheeled over in congratulations, his emotions got the better of him – it was consolation that Costa needed. He returned to his half covering his tearful face. Benfica had been his life since the age of five, and his reaction was like hearing from a loved one over the phone after leaving home for the first time – overwhelmed to hear the familiarity and comfort of their voice. When the final whistle blew he walked over to the Benfica supporters and threw his shirt into the crowd, applauded them, then left. This moment, from the goal to the tears to the shirt, was fleeting, yet it summed up the cornerstones of Rui Costa – vision, style, passion and loyalty. Costa, with his olive skin and slicked back hair, encapsulated the Portuguese feeling of saudade, which roughly translates to a feeling of longing or melancholy, in that moment. As he parted from his fans painfully and abruptly, to prevent further damage, he returned to Florence to continue his dominant spell at Fiorentina under Claudio Ranieri. Costa’s sense of humbleness is largely down to his upbringing in Amadora, a municipality several miles to the north-west of Lisbon and a city unto itself. It’s Portugal’s most densely populated ‘city’ and remains relatively unchanged from Costa’s youth. It’s no surprise that a tough place breeds tough people, with a young Renato Sanches and Nani coming from nearby. Rui Costa’s parents, able to move anywhere in the country, or even world, still reside in Alfragide, a stone’s throw from where Costa was born. It could be said that his humble spirit comes from them. His sense of loyalty follows a similar narrative. Rui Costa, born in 1972, played in the red shirt of Benfica from 1977. Practically born into the club, he was first spotted by Benfica and Portugal’s greatest hero Eusébio at the age of five and continued to develop in their youth system for 13 years before heading out on a season-long loan to the northern side AD Fafe, returning swiftly to Benfica, hitting the ground running. Futsal is popular in both Brazil and Portugal, a five-a-side indoor game that uses a smaller and heavier ball with reduced bounce. This allows players to develop their fundamentals like passing and first touch; without them on the smaller pitches, the game would become static and messy. The first touch allows the player to absorb the ball in a tight space without giving it away, as every square inch is prime real estate. Secondly, with this lack of space, passing is the key tool in opening up the play, so they must be accurate, dynamic and direct. Pelé sees futsal as a potent formative instrument in football development: ‘’It makes you think and play fast. It makes everything easier when you switch to football.’’ In the confines of futsal, one wrong move can be costly. The influence this had on Rui Costa from his youth in Portugal manifested from his early days. The ball seems heavy when it arrives at his feet and light when it leaves. These characteristics can be seen on a variety of players influenced by futsal, from Messi, Ronaldinho, Coutinho and both Ronaldos. Even in his youth at Benfica, he was emerging as one of the most exciting and promising players that Portugal had ever produced. 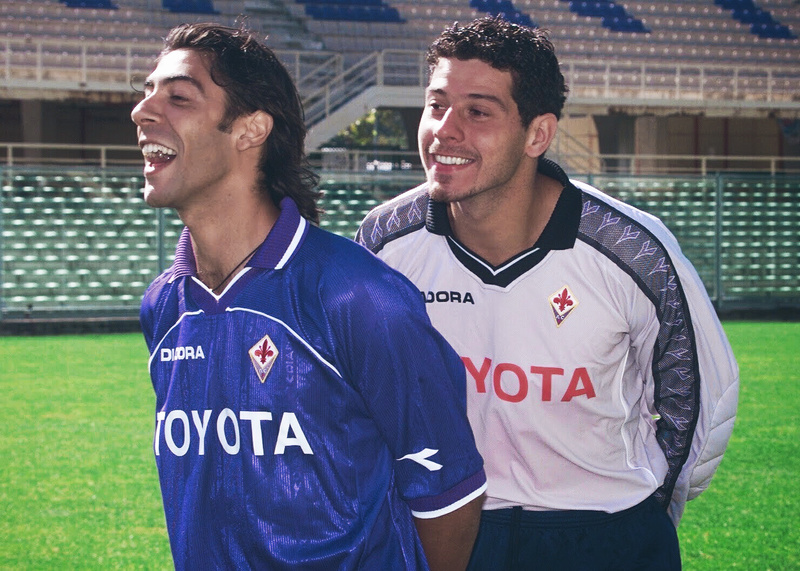 In Italy, Fiorentina were building a formidable side. A sleeping giant was about to wake up in the birthplace of Leonardo da Vinci, with the club’s recent signings, Brian Laudup, Francesco Baiano and Gabriel Batistuta, helping them gain promotion to Serie A. Rui Costa signed in 1994 to aid them on their return to the top-flight. They were all set up for their own Renaissance with Claudio Ranieri at the helm. In a league full of world-class number 10s, Costa quickly emerged as the preeminent alongside Zinedine Zidane, after taking over the shirt from Roberto Baggio, no small task in itself. With beguiling grace and mesmerising artistry, he was the fully packaged playmaker, capable of making a palace out of paper and tape. In a team that was lacking in defence and didn’t fare much better in the middle, Batistuta and Costa were an attacking phenomenon, zigging in a league that chose to zag. Their telepathic bond quickly consolidated them as the Serie A’s most formidable and iconic duo, the complete number 9 and 10. Their partnership was not unlike Manchester United’s Dwight Yorke and Andy Cole. They were brothers-in-arms, with the instinct of a killer and the mesmerising quality of two virtuoso talents running wild. Italian football is traditionally conservative and defence-minded, but the Florentine side built their mid-1990s success on the strength of their attack. Together, the duo not only won two Coppa Italias and one Supercoppa Italiana, but they looked great doing it. Costa will be remembered as much for what he achieved as for how he achieved it. The way he played looked effortless, and in a way it became so over time, but it was his work-rate and football academy upbringing that nurtured his talent. The way he looked on the park might have seemed effortless too, but that wasn’t the case. The Italian’s call it sprezzatura, making something look like no thought or effort went into it, when in fact, it had. Before a game, everything had to sit right – the oil in the hair, the tape under the knee, the rolled down socks and the half tucked-in shirt. 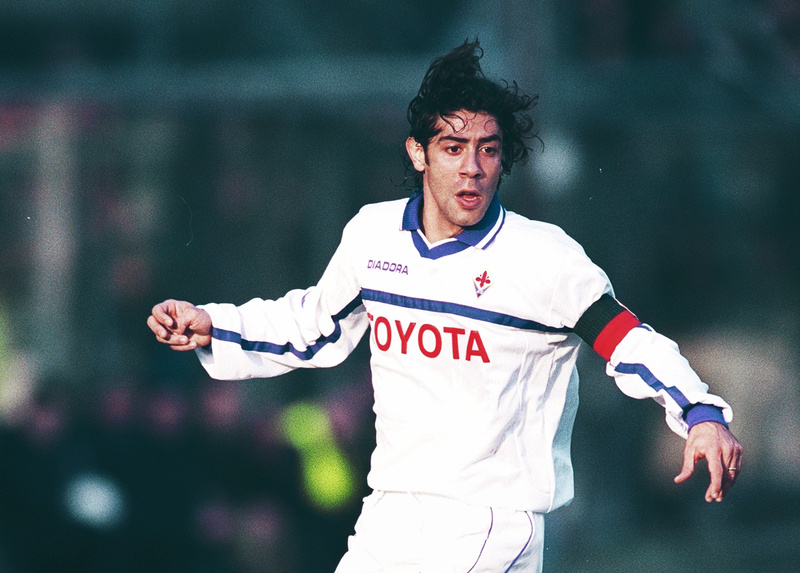 He was the embodiment of Italian football style, giving him the reckless air of a true maverick roaming the field. His style would influence a whole generation of young boys that watched Football Italia religiously every weekend, glued to their screens and trying to emulate him at their local park. His style served a purpose; when everything sat right, what happened on the pitch became instinctual. His pre-match rituals freed his mind, allowing him to operate on what often seemed like a subconscious level on the park. 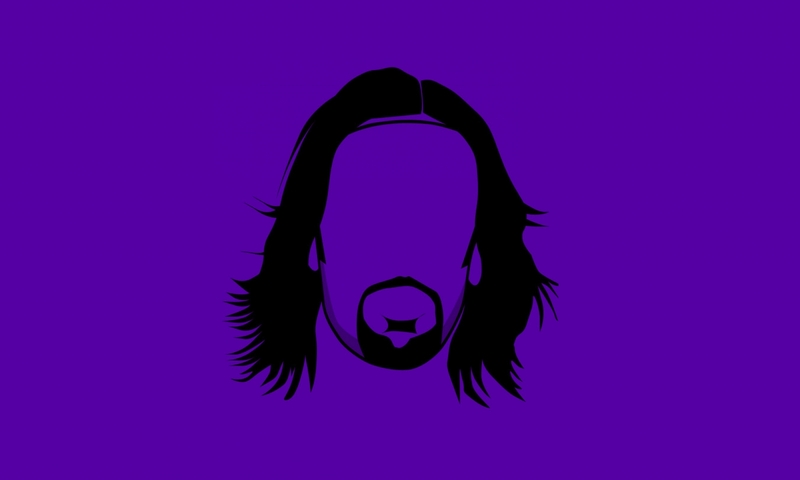 This nonchalance combined with his passion made him an enigmatic player with a devoted cult following at Fiorentina. From the city once run by the Medici family and strategized in Niccolò Machiavelli’s The Prince, it was fitting that the man who was the apotheosis of footballing grace and tactical craft would come to be known as The Prince of Florence, and when Batistuta left for Rome in 2000, he was the heir to the captain’s throne. Whenever Rui Costa had the ball, there was a feeling that anything could happen, such was the unpredictable nature of his game. His trenchant passes came a second before it was anticipated, wrong-footing many defenders and goalkeepers with its’ off-beat syncopated timing. This was best exemplified when Portugal took on England at Euro 2000. Down 2-0 early on in the match, Costa came alive with his wizardry of spherical physics assisting three goals to provide the win. The third through ball that set up Nuno Gomes was of vision and precision rarely witnessed since the construction of the Egyptian pyramids. In 2001, then-manager of Fiorentina Fatih Terim, or Imperatore, took over at AC Milan, bringing Costa with him for just under €44 million, an offer Fiorentina couldn’t refuse given their own financial difficulties. Costa would swap Batistuta for Filippo Inzaghi and Inzaghi would swap Zinedine Zidane for Costa, who made a comment on signing for his new club that Costa was the superior player to Zidane, an eternal debate in Italian football, similar to Cristiano Ronaldo and Lionel Messi now. Costa and Zidane played similar roles, and there is no questioning Zidane’s genius throughout his career, but in their heyday in the Serie A, it was Costa that seemed to excite and appeal on a more visceral level. Where Zidane played from his head, Costa played from his heart and that resonated deeply with Italian fans. Italian football lives and dies by their defence, a philosophy developed since time immemorial by managers like Helenio Herrera and lauded by classic calcio writers like Gazzetto dello Sport’s Gianni Brera. Milan were solid at the back with Paolo Maldini and Alessandro Costacurta, but it was Costa’s job to add some attacking flair to the famous defender’s grit. The north of Italy already had Ferrari, Lamborghini, Maserati, and now it had Rui Costa. He was the gleaming paint job, the roar of the engine and the effortless blur in the eyes of defenders. In Milan he picked up another nickname, Il Maestro, alluding to the leader of a classical music ensemble or opera. The thing is, he wasn’t so much the classical conductor as he was the spontaneous jazz musician. He roved free without restraints, abiding to no particular time signature nor scale, inhabiting a number 10 role that has seen a steady decline in the last decade, making way for a more central attacking role for the number. Rui Costa’s time at the Rossoneri never quite reached the hoped-for peaks that were expected from a superstar entering a supercharged squad, but by no means was it a failed venture. During his time there he managed to add more silverware to his personal collection, including a Champion’s League trophy in 2003. Rui Costa came up against Zidane, as part of Real Madrid’s Galácticos, in the group stage of the tournament. Milan won the group, thanks in part to a 1-0 home win that featured Rui Costa’s fan-favourite pass. Before the stroke of half-time and behind his own centre circle, his picked out a solo Andriy Shevchenko with a heat seeking pass along the ground, splitting the four defenders in their own half that could never have anticipated the move. His seeming prescience of the movements of his own and opposing team-mates marked him as one of a kind – at the time he was the best passer of a football in the world. Unfortunately, his overall impact at the club was limited by a recurring injury and the arrival of Kaká, who was favoured over Costa to sit behind the attack, pushing him into a deeper playmaking role with Andrea Pirlo. He still made an impression when he had the chance but any consistency was hard to come by in a particularly strong Milan squad. Even though he left the club with 65 assists to his name, by his own admission, he just wasn’t clinical enough in front of goal and wasn’t as natural as Pirlo in the deeper role. Being effective in front of goal requires balance and a methodological approach that was at odds with Costa’s style. He was unconventional and insouciant, which doesn’t often translate to consistency, but is exhilarating to watch unfold. His body jived into impossible positions like a lithe gazelle trying to avoid the claws of the lion. Until, that is, the opportunity presented itself for the hunted to become the hunter. He would either make an impossible pass or, when he did hit the ball well, score the calibre of goal that very few players could lay claim to. Costa was instrumental to Portugal’s golden generation squad, alongside Luís Figo and João Pinto. The team had gotten to the quarter-finals of Euro 96, the semi-final of Euro 2000 and were expected to win the tournament on their home turf in 2004. In the semi-final, Portugal headed into extra-time against England with the score level at 1-1. Costa picked up the ball a couple of feet into England’s half on a swift counter-attack, looking to make a pass, but there were no viable options. He kept the ball close to his feet and burst forwards towards the edge of England’s box, quickly glancing over at Simão, who was too heavily marked. Costa looked up one final time and let loose an uncompromisingly crisp right foot strike, catching the underside of the bar on the shots upwards trajectory, beating David James. Portugal won on penalties but lost to Greece in the final, and what could have been a crowning moment in Rui Costa’s international career ended with heartbreak. Costa once made a promise to return to Lisbon and Benfica. In 2006 he made good on that promise, eschewing a €4.6 million annual contract in Milan to return home. Players of Costa’s particular style have an ephemeral quality that characterises their career by the fleeting moments of magnificence, compared to one built on consistency. So after setting Italy alight for over 10 years, would he be able to make any impact at Benfica? In purely footballing terms, Costa’s best years were behind him in Florence, but on returning to Benfica his presence was incandescent. This isn’t to say that he offered nothing to the quality of play; quite the contrary. He was consistent throughout his first season back, helping Benfica to a third place finish, behind Porto and Sporting. At the beginning of the 2007-08 season, his two-goal contribution against FC Copenhagen saw Benfica through to the Champions League, breaking from their recent spell of bad luck. 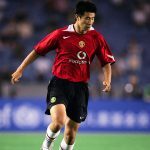 Unfortunately for the fans, they knew their time together was limited; at the start of the season he had announced his retirement from the club at the end of the campaign, and after every goal or game, he would make his way over to his fans to thank them, ever more sagacious in his latter years. After retirement Rui Costa became Benfica’s Director of Football. Jorge Jesus, the clubs’ former manager, remarked: “The future of football at Benfica passes through Rui Costa or no one.” It’s clear that everyone at the club understands his role and he was instantly responsible for bringing in Javier Saviola, Pablo Aimar and Jorge Jesus himself. Many fans hope that he will forever remain at the club, eventually as president. During his playing days it was his hero Michel Platini who was often used as a benchmark of comparison. Nowadays, Rui Costa is viewed as one of the players who is beyond comparison – a footballing Beatle. Costa is often overlooked in the greats of modern football. Indeed, when you talk about the best players of all-time, he is seldom mentioned, but when his name comes up, few disagree. He played in a way that reminded us how beautiful football can be. Players like that don’t seem to fit into any system – they are happy enough to run parallel to it and we are happy enough just to watch them. When he walked off of the pitch for the final time at the Estádio da Luz, a great many fans cried, such was the ineffable effect of the player who wasn’t quite like anyone else.